Cost to hire a home appraiser varies greatly by region (and even by zip code). 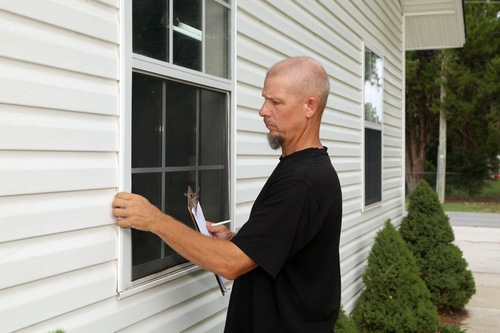 Get free estimates from real estate appraisers in your city. Cost to hire a home appraiser varies greatly by region (and even by zip code). Get free estimates from real estate appraisers in your city. The average cost of hiring a home appraiser is $300 - $400. How much does it cost to hire a home appraiser? Purchasing any type of real estate usually comes with the need for a professional appraisal to be done. Both the seller and the buyer may have appraisals, and the information on them might be somewhat different. For the purpose of this discussion we will consider the costs of hiring a home appraiser when you are the intended buyer of the property in question. Why is an appraisal even necessary? Isn't a formal inspection enough? No, an inspection may indicate some issues with the structure or systems within the building, but it never gives a "fair market price" for the property, nor does it put the home into the proper context of the surrounding neighborhood. Only a qualified home appraiser will understand the many different elements that combine to make a home worth more or less than the asking price. According to MortgageNewsDaily.com, the national average cost for an appraisal by a licensed professional is between $300 and $400 and should require roughly two hours of inspection time to complete. The website also points out that the intended buyer of the property should always demand a copy of the appraisal from the professional who drafted it. This is to help the buyer track the home appreciation that occurs after they purchase the property and make improvements. A statement about the type of area in which the home is located. A good appraisal will sound and be neutral and objective, but it will also point out the ways in which the property can be negotiated to a lower cost. For example, the appraisal that comes in dramatically lower than the asking price is going to clearly indicate exactly why it is so, and the potential buyer can use these points when offering a more reasonable amount for the home. The final section will mirror the first two pages and look at time to sell and assessed value. How much does it cost to hire a home appraiser in my city? Cost to hire a home appraiser varies greatly by region (and even by zip code). To get free estimates from local contractors, please indicate yours.